Decoding Ranveer Singh's sister Ritika Bhavnani's #Deepveer wedding looks one function at a time! Ranveer Singh’s sister Ritika Bhavnani has shattered records with her impeccable looks one function after another. She became the talk of the town when she threw a party in honour of her brother and sister-in-law to celebrate their union. Suffice to say, we too are swooned over by her and her gorgeous avtaars! Decked in an all white ensemble Ritika looked regal at the Konkani wedding that took place in Lake Como! Her all black Rohit Bal couture is drooool worthy! 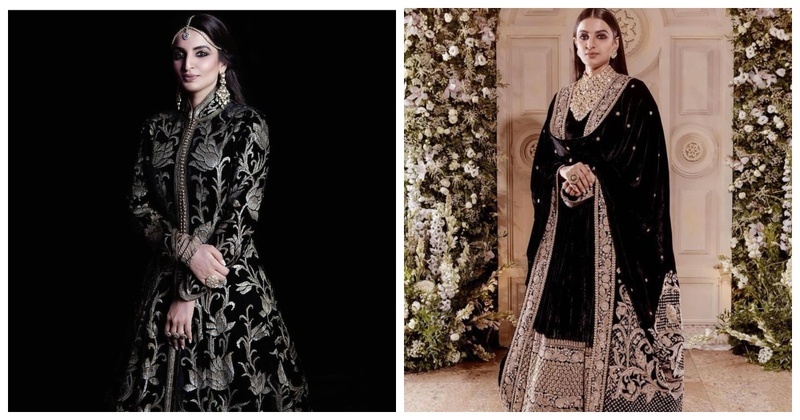 For the Mumbai Reception she chose a black velvet anarkali by Sabyasachi and can we just say she is the prettiest sister of the groom we’ve laid our eyes upon? And finally for the Bollywood reception she chose yet another black gown and paired it with a gold choker. Ritika B, you’re definitely shattering the glass ceiling and setting some major wedding goals!